We have different teeth numbers in mouth and it is same for all of us either one is an adult or a child. Normally the total number of teeth of an adult person should be 32, comprising of 8 incisors, 4 canines, 8 premolars and 12 molars. Our teeth are generally divided equally between the lower and upper part of the mouth. It maybe a little different for the children who are still in the process of developing. Due to the fact that humans are generally same number of teeth, dentists all over the world use teeth number systems which are designed to make easy identification of teeth possible in order to facilitate dental treatment. Having a teeth numbers system is a convenient and effective diagnostic method through which preventive and remedial dental care could be provided for patients. There are different ways that dentists number teeth, but there are some systems which are generally accepted as the standard numbering method. Usually teeth could be named according to their anatomic shape or letter or number. But in general practice, dentists prefer using numbers or coding rather than making use of names. Due to this approach, dentists have developed different dental notation systems over time including ISO Notation System (FDI); Universal Numbering System; and Palmer Notation Method. Many orthodontists use the system, which is diagrammed a bit later but universal numbering system is the most followed method in dentistry, according to which right and left side referrals are ALWAYS THE PATIENT’S RIGHT AND LEFT. While teeth are numbered 1-16 from the UPPER RIGHT TO UPPER LEFT, and 17-32 from LOWER LEFT TO LOWER RIGHT. Teeth 1, 16, 17, 32 are the WISDOM TEETH, and are often extracted. The most effective and widely used teeth numbering system around the globe is universal numbering system. By using this method, adult and pediatric dental care becomes very effective and easy. Dentists prefer to use Universal Numbering System to identify teeth in the mouth. The American Dental Association approved this system of identification. According to this system, different numbers have already assigned to each of the teeth in the mouth. Tooth number 1 is located in the upper jaw (maxillary) and it is the upper third molar in the right side of the mouth. In this system, numbering proceeds always towards the front and across to the last molar tooth back on the top left side which is number 16. This numbering system goes on by giving numbers to the teeth in descending order to the lower left third molar which is number 17 and goes down to the lower jar up to the farthest tooth back on the bottom in the right side of the mouth which is given number 32. In case of children, there is a little modification in this system. Children have twenty primary teeth which are numbered from 1 to 20. However, to differentiate the numbering system from adult small letter “d” accompanies the numbers to show whether it is deciduous or primary teeth. 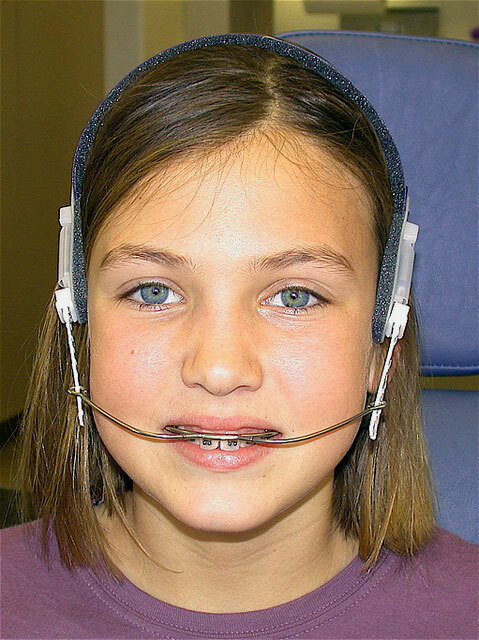 It is a unique feature of this system that it has been modified especially for children teeth numbering. Like dentists nowadays use uppercase letter A to T in order to identify primary teeth. Letter A represents the child’s upper right second molar and letter T is designated the lower right second primary molar. FDI World Dental Federation System is another widely accepted teeth numbering system. It is also recognized as 150-3950 notation. You may already know that the arrangement of human teeth in the mouth is symmetrical and due to this fact, mouth is divided into quadrants with 8 different teeth allocated to each of the quadrant is located horizontally and vertically to the other quadrants. In order to make identification easy, each of these 8 teeth is given a number ranging from 1 to 8, beginning from the center front tooth (central incisor) and counting backwards to the third molar which is number 8. Additionally a number is also given to each of the quadrant ranging from 1 to 4 for permanent adult teeth and number 5 to 8 for primary teeth in children. This system has some unique features like teeth are numbered or named according to the jaw they are located e.g. upper jaw (maxillary) or lower jaw (mandibular). Tooth can be one of the following types e.g. canine, incisor, molar and premolar. Firstly this system was called as Zsigmondy system. It was originally after the Hungarian dentist, Adolf Zsigmondy who created the idea in 1861 by using a Zsigmondy cross to record quadrants of tooth positions. It is popular among dentists in the United Kingdom, although it is relatively new. Sometimes it is termed as military system. According to this system, the adult teeth number ranges from 1 to 8 and the pediatric dentition is represented by a quadrant grid of roman numerals I, II, III, IV, V starting from the midline. Palmer changed the roman numerals to letters of alphabet A, B, C, D, and E to make it simple and avoid confusion. He introduced also use of symbols (┘└ ┐┌) to highlight the quadrant within which each tooth is located and a number showing the position from the midline. These symbols are difficult to produce on normal or standard keyboard.